The region’s peak environment group says it remains in favour of a motorsports facility but the site identified by the state government is the wrong place. 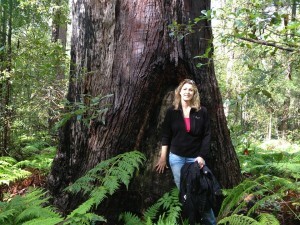 “Contrary to claims by Minister Dickson, the area known as the Mooloolah Logging Area within the Beerwah State Forest contains high environmental values which are vital for the region’s biodiversity and amenity.” Sunshine Coast Environment Council spokesperson Narelle McCarthy explained. "Wilfully destroying large tracts of intact native forest, wetlands and endangered coastal lowland rainforest which supports threatened species when alternative, more appropriate sites are available belies sense or conscience.” she said. SCEC supports the right mix of tourism and recreational opportunities in appropriate locations across the region” Ms McCarthy reiterated. “This is a case of a good idea in the wrong place” she emphasised. “We recognise illegal riding in protected areas is an issue. However, the impacts from this need to be realistically measured against the massive direct and indirect environmental impacts which will occur if this site is progressed.” she said. “Pushing the motorsports proposal through state government tender further excludes the community from accessing information or being subject to proper scrutiny. This is inexcusable given its significance for the region and the use of valuable public assets without consultation.” she said.